Bo Butik was started by Danish born Marie Hauerslev in 2008. The name 'bo' has many meanings in Danish; it can mean a 'nest', 'a home' and 'to live'. Butik is also Danish and means shop and bo butik is about all things beautiful, the home of recycled Danish Vintage furniture. Classical Danish furniture, collectables as well as funky Scandinavian retro objects from the mid 20th Century. Here you will find many wonderful and exciting Danish and Scandinavian retro pieces from the 50’s and 60’s as well as unique and unusual vintage items from bygone eras. 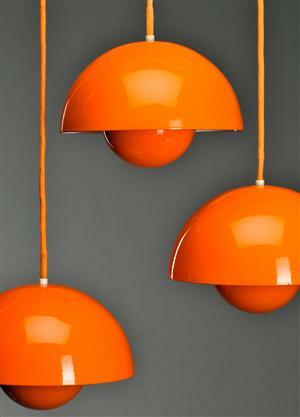 The importance of Verner Panton from the 70s has not been forgotten from this collection. Gorgeous Ceramics from Royal Copenhagen and Glassware from Holmegaard - we have a great selection. We are passionate about well made furniture that is functional but at the same time has distinct architectural flair. The words ‘Master’ and ‘Craftsmanship’ are integral to Danish furniture Design from this era. Sideboards and chests from Ib Kofod-Larsen to Hvidt & Mølgaard are part of our passion. Teak, Brazilian Rosewood and European oak, rarely seen in today’s mass produced products are featured in original Danish Vintage furniture pieces. Our selection of Danish and Scandinavian Teak and Rosewood dining chairs is extensive and we only sell original Vintage Danish Design. Kai Kristiansen, Johannes Andersen , N.O. Møller, Børge Mogensen, Hans J. Wegner and Arne Jacobsen are some of the names you will find here in this category. With pieces from leading designers and the great masters such as Poul Kjærholm, Hans Wegner, Finn Juhl, Borge Mogensen, Arne Jacobsen, Grete Jalk, Nanna Ditzel and many more constantly coming through our doors, you are sure to find something you will love to own. Please check the dates for Open Days under "Contact us"
8 Tilley Lane, (off Aquatic Drive).